Find hotel near Swarovski Boutique Magna .. This place is for shoppers and trend lovers who are fond of spending their time exploring the surrounding shopping scene. 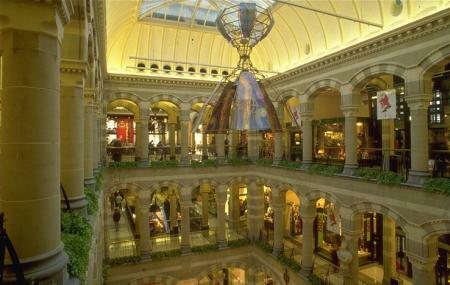 One of the few malls in the city, Magna Plaza is a small 19th-century Neo-Gothic style building that is home to a wide range of shops and stores. It is divided into three floors and can be easily explored within few hours. Visitors visiting the Dam Square find it to be a quick indulgence amidst all the rush (considering the mall is just behind it) where they can get a lot of traditional accessories and lovely souvenirs for take away with. From major fashion brands to local items, name it and you will get it here. In addition to this, a nice piano playing also happens here during weekends and holidays. A great place to come with family and have some fun. It is also a great way to get acquainted with Dutch culture! Bit of a wait as only one person in, but she was really helpful, and nice 10% discount at the time I was in. Good and polite staff. I got a few jewellery. Nice stock in the store.